To date, nuclear weapons have spread more slowly than most anticipated. And the pace is slowing even further. Over at Foreign Policy, David Kenner has an interesting piece on how President Barack Obama’s views on nuclear weapons are shaping his approach to the Middle East (Kenner also includes other so-called weapons of mass destruction, although nuclear weapons are the primary focus). Kenner’s main thesis is that “non-proliferation has emerged as the centerpiece of Obama’s agenda in the Middle East.” He cites a number of examples to support this argument, from Syria’s chemical weapons stockpiles to Iran’s nuclear program. The piece is well worth the read, although I’m not sure I agree with the central premise. Additionally, while Kenner attributes America’s focus on WMD issues in the Middle East to Obama’s personal interest and passion for these subjects, I would argue it has more to do with external events like the advanced stage of Iran’s nuclear program and the Syrian civil war. Cartwright is hardly alone in holding these views. Indeed, the general consensus when it comes to nuclear weapons has long been “when there’s a will there’s a way.” And yet, the spread of nuclear weapons has always been surprisingly slow. Moreover, despite the diffusion of nuclear technology, nuclear weapons have actually been spreading much more slowly than they did during the first few decades of the nuclear era. Consider that, in the three decades following the atomic bombings of Hiroshima and Nagasaki, no less than seven countries developed at least a nascent nuclear weapon capability. In the nearly four decades since, only three countries — Pakistan, South Africa, and North Korea — have developed a nuclear weapons capability, and one of these states — South Africa — voluntarily dismantled its arsenal. So what explains this great nuclear slowdown? Two converging trends seem to be at work. First, there has been an undeniable decline in the number of states interested in acquiring nuclear weapons. Harald Muller and Andreas Schmidt have documented this well. 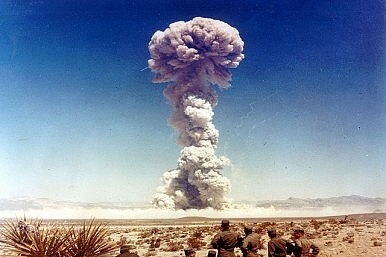 In their comprehensive study of states with nuclear weapons activities between 1945 and 2005, they find that “states with nuclear weapons activities were always a minority, and today they are the smallest minority since 1945.” Specifically, in 2005 they identified 10 states as having nuclear weapons activities (including those with nuclear weapons), which constituted less than six percent of UN members. Today the only non-nuclear weapon state (NNWS) that might be interested in an atomic weapon is Iran. The fact that states have by and large been uninterested in nuclear weapons is somewhat perplexing from a historic perspective. After all, what other revolutionary military technology hasn’t elicited strong interest from most states competing in the international system? At the same time, when one examines the properties of nuclear weapons more closely, the lack of interest is easier to understand. Nuclear weapons have basically served one purpose for states possessing them; namely, they have deterred others from challenging that state’s survival and other fundamental interests. But the nuclear era has also been characterized by a sharp decline in warfare and today fewer states face fundamental external threats to their existence. Given the high costs of building and maintaining a nuclear arsenal, it makes little sense to acquire nuclear weapons without such an existential threat. While lack of interest explains why some states have renounced nuclear weapons despite possessing the capability to build them, the difficulty in building them has prevented others states that seek nuclear weapons from acquiring them. Despite the view that “where there is a will there’s a way,” and a strong sense that globalization has exacerbated this, the historical record tells a very different story. As Jacques Hymans has pointed out, before 1970 seven countries launched dedicated nuclear weapon programs and all seven succeeded in an average of seven years. Since 1970, ten states have launched dedicated nuclear weapons programs and only three have succeeded (the jury’s still out on Iran). These three have taken an average of 17 years to succeed and Iran under the Islamic Republic has been working towards a nuclear weapon capability for some three decades. As Scott Sagan has pointed out, most of those citing ElBaradei omit the latter part of his statement about having the required fissile material. But this statement is crucial as only a handful of NNWS are capable of producing or otherwise procuring fissile material, which is necessary for a nuclear bomb. Moreover, thanks in no small part to President Obama’s focus on nuclear security, the global availability of fissile material has been declining as the U.S. and its allies help remove fissile material from some states while downsizing the stockpiles in many others. Furthermore, compared with the Cold War era and even the 1990s, nuclear weapon holding and nuclear capable states are much less willing to sell NNWS crucial dual use technology that can be used to indigenously produce fissile material. Thus, contrary to common perception, there is no impeding nuclear domino about to fall. How to think about the fight to stop the spread of weapons of mass destruction. Why Does America Only Fear Hypothetical Nukes?A Nuclear Angle to the 2014 PNS Zulfiquar Attack?Why the Nuclear Security Summit Alone Won't Stop Nuclear TerrorismWhy India's Upset About Obama's Post-Nuclear Security Summit RemarksWeapons of Mass Destruction: How Will They Remember Us?